Hello, and welcome to the website for Finsbury Park Singers. 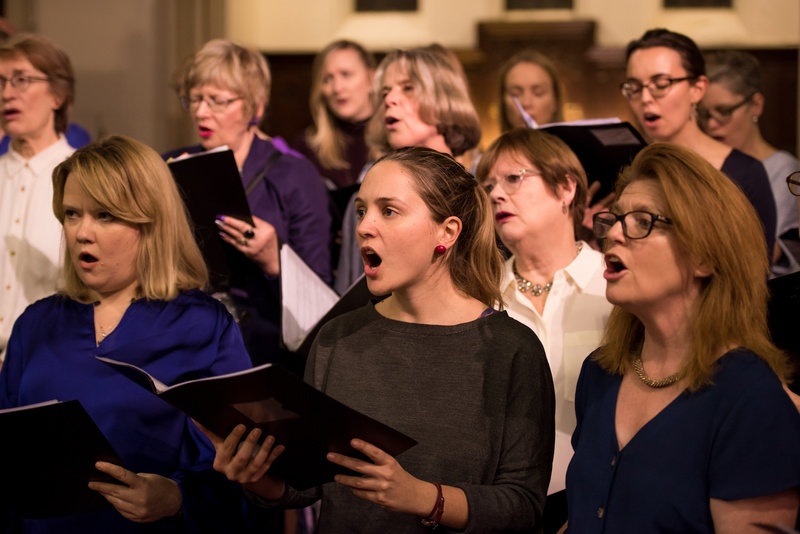 The choir launched in September 2018 – if you love singing and want to meet like minded people, improve your skills and learn new music, come along! Everyone is welcome and there are no auditions. Don’t let the word ‘choir’ put you off. We are fun, friendly and sing a wide range of styles. You don’t need to be able to read sheet music (though we do use sheet music most of the time) as MP3s are provided to practice with. Finsbury Park Singers is led by Hannah Brine and the songs that we sing are carefully selected to offer something for everyone; from pop to gospel, classical to musical theatre, jazz to folk. We meet on Tuesdays during term time from 7-8.45pm, at Elizabeth House Community Centre, off Blackstock Road, near Finsbury Park . Visit the membership page to find out term dates and fees. The choir will perform roughly 3 times per term and there will be a number of social events through out the year, including weekly drinks in the pub afterwards. Thank you so much for your energy, warmth and professionalism – the choir has really made positive changes to my life – singing therapy!